Cups are made of durable plastic. Great for dispensing medications, medical testing, inpatient room care and serving outpatients. They are easily disposable, with no messy clean up. 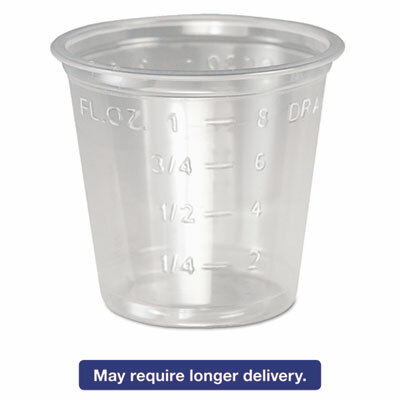 Cup Type: Medical; Capacity (Volume): 1 oz; Material(s): Plastic; Color(s): Clear.